Thank you for contacting Roof Tech, a representative will contact you shortly. 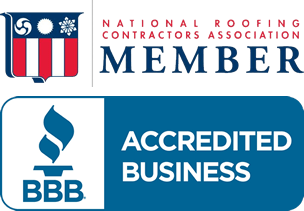 Please review the various areas to help you make an informed decision and to build confidence we are the right contractor for your roofing or remodeling project. We'll make sure your home makes a striking impression, adding the greatest curb appeal in your neighborhood. Attention to detail, quality products, and quality craftsmanship is key. Your choice of materials is an important decision when protecting your home from the elements, bringing out the beauty and extending the useful service life of the components that make your home comfortable, safe and beautiful. Choosing the right contractor for your roofing or remodeling project is just as important as selecting quality materials. Roof Tech guarantees properly trained and experienced customer service and complete satisfaction, beginning with fair pricing, unlimited choices of products, styles, and colors . . . continuing through the final cleanup and your approval. Quality craftsmanship and design are key - we go beyond the basics with innovative maintenance programs, extended warranties, and great customer service, ensuring our customers' satisfaction long after their project is completed. We'll help you make "Your Best and Safest Choice."